March 13, 2019: Updates to One UI based on Android 9 Pie for the Galaxy A8 2018, A8+ 2018, and A9 2018 are now available as versions A530FXXU4CSC3, A730FXXU4CSB9, and A920FXXU1BSC5, respectively. The updates also include February 2019 security patches. March 05, 2019: T-Mobile users in the U.S. can now download and install Android 9 Pie on their Galaxy Note 9 handsets. The update is rolling out over the air with software version N960USQU1CSB3 and tags along the new One UI and February 2019 security patches. This update comes after AT&T and Sprint also updated the Note 9 to One UI. If you are in Canada and using model SM-N960W, you are also able to upgrade to One UI right now. The update has been available in the country since early February 2019. Samsung seems to be really stepping up their game when it comes to smartphones both in terms of hardware as well as software. 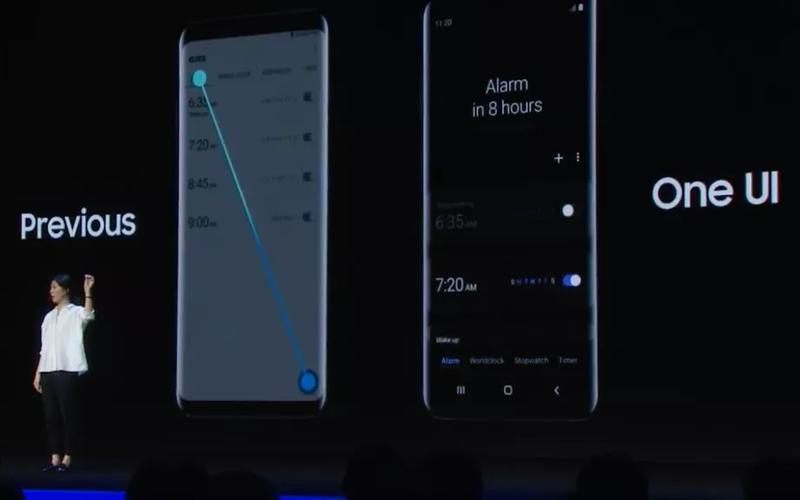 A few days back the Korean Giant announced One UI at their Developer Conference, which is what Samsung is calling their new skin over Android. 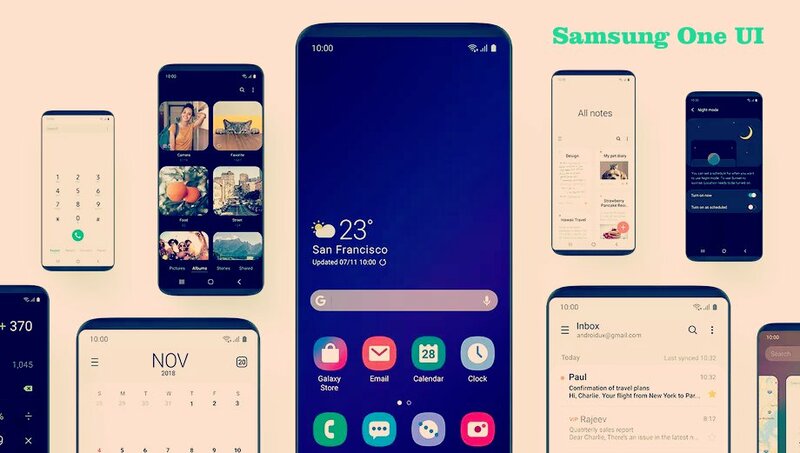 One UI is designed to allow users to use their smartphone easily with one hand and given that smartphones are getting bigger and bigger displays this seems to be a really smart move by Samsung. After the Developer Conference, most of us were left confused over which devices would be receiving the update and which devices would be left out, luckily, the confusion has now cleared up. So let’s take a look at the eligible devices for the One UI update that is based on Android 9 Pie. 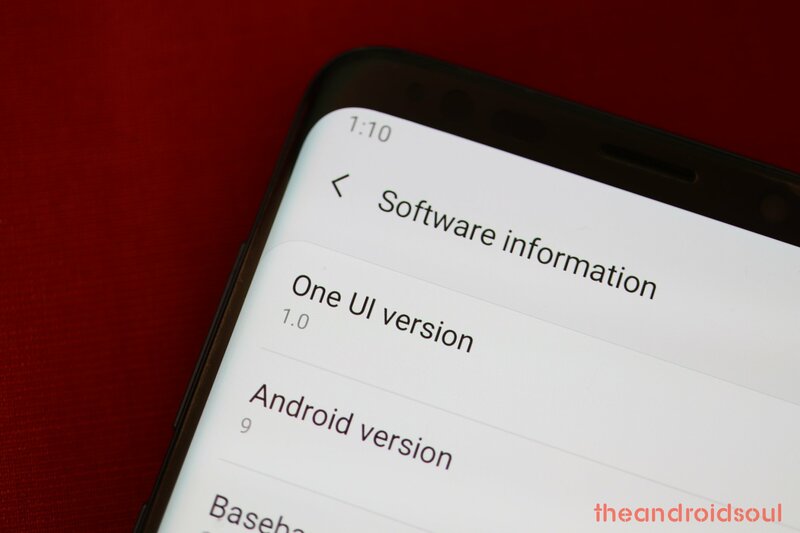 One UI is Samsung’s new UI based on Android 9 Pie. Gone are the days of the buggy TouchWiz UI, Grace UX, and Experience UI. Since the new UI is based on Android 9 Pie, we expect the devices to perform a bit better and get improvements in battery life as well based on how Android 9 Pie handles background applications. So let’s take a look at all the new features offered in One UI. Galaxy Note 9 Available Released for the ‘F’ model; download from here; firmware not available yet. 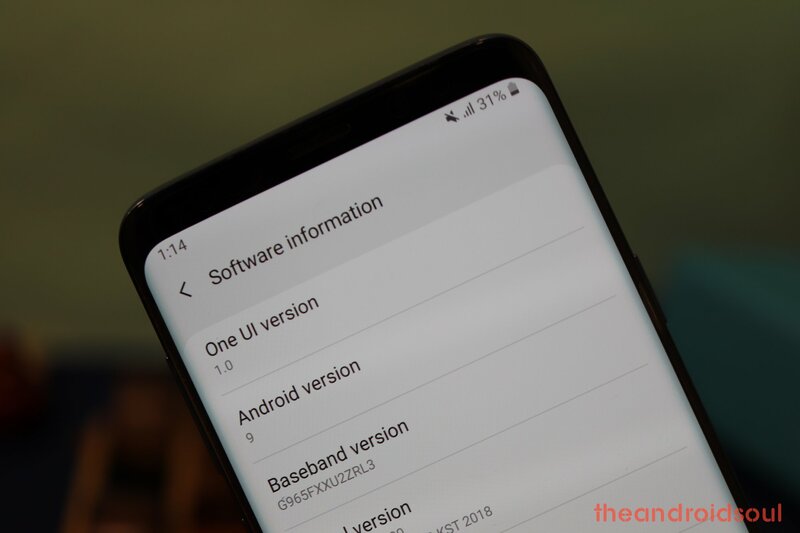 The One UI first arrived on the Galaxy S9/S9+ and the Galaxy Note 9 in late 2018 and early 2019, respectively. As expected, the Galaxy Note 8, S8 and S8+ followed suit in February 2019, giving way for the company to begin works on the midrange Galaxy A series in March going forward. While previously it was speculated that only the current flagship devices which are the Galaxy S9/S9+ and Galaxy Note 9 would be receiving the One UI update, it is now clear that this isn’t just about the flagship phones, but the entire Samsung Galaxy family going forward. Samsung’s track record hasn’t been that great when it comes to timely updates so the expected rollout dates might change for some of these devices. March 05, 2019: As of this writing, the Galaxy S9, S9+, Note 9, Note 8, S8 and S8+ have all been updated to the latest One UI. This is true for the European region, but in the U.S., the One UI update has yet to hit the 2017 family. As for the rest of the devices, below is a screenshot of Samsung’s expected Android Pie update roadmap. With the limited slots available in the beta program, getting One UI manually on your Galaxy S9 or S9+ and the one one Galaxy Note 9 might just be what you need to get a slice of Pie. Since its an unofficial method of updating the S9 and Note 9 to Pie, be sure you follow the instructions to the latter to avoid damaging your device just in case anything goes wrong. With One UI, the company aims to create a more appealing user experience by improving over major UI flaws which made using the devices with one hand almost impossible without fumbling about with the device. One UI is designed keeping in mind one-handed-usage, hence in most applications and menus, the interactive portions have been shifted towards the bottom of the app while the viewing area has been shifted to the top portion of the application. All major default application icons have received a new look as well. The icons now have rounded off corners to match One UI’s design language. Even the Gallery Application has received a major UI overhaul with large album covers with rounded off corners and now seems a tad-bit similar to that on iOS, although it does look more appealing than the current Gallery Application. Samsung has even tweaked the notification shade completely making it similar to the Android 9 Pie notification panel on the Pixel devices, however, sticking with the One UI design language, when pulled down twice the notification shade now comes down completely taking up the entire screen and it brings the notification toggles to the bottom to be reached with one hand easily. One UI brings along a dedicated ‘night theme’ too which changes the whole UI including the notification cards to a dark theme. 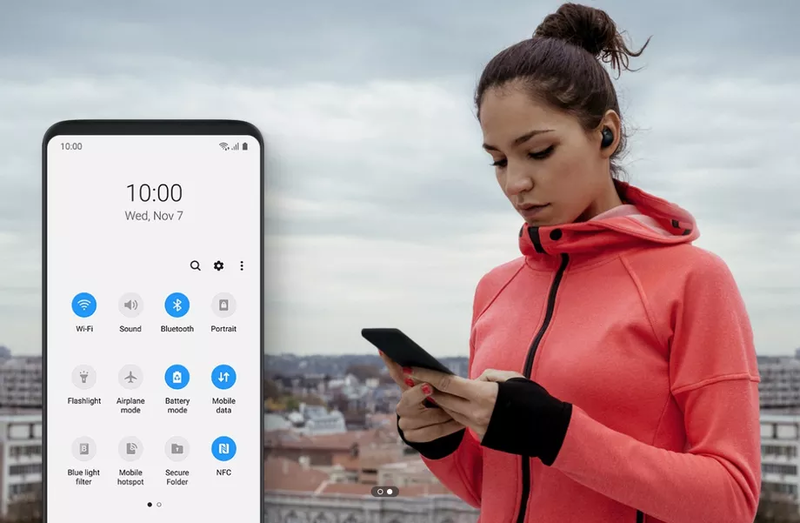 Given that all Samsung flagships have an AMOLED display, having a night theme can be fairly beneficial to may also help to improve battery life. In general, One UI seems a lot more refined and targeted for use with one hand. Are you excited for Samsung’s new One UI update? Let us know in the comments below.